Chris Reeve Mnandi with hand forged stainless ladder damascus by Devin Thomas. Premium spalted beech wood inlays in the handle. 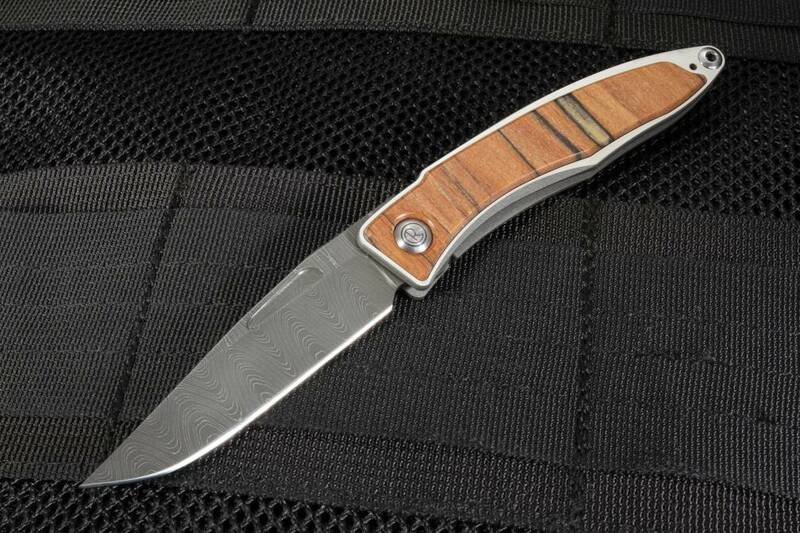 The blade is a beautiful hand forged stainless ladder pattern damascus steel blade. Jimping on the thumb rest of the blade spine for positive traction in the open position. Large cut out section of the blade for easy opening. 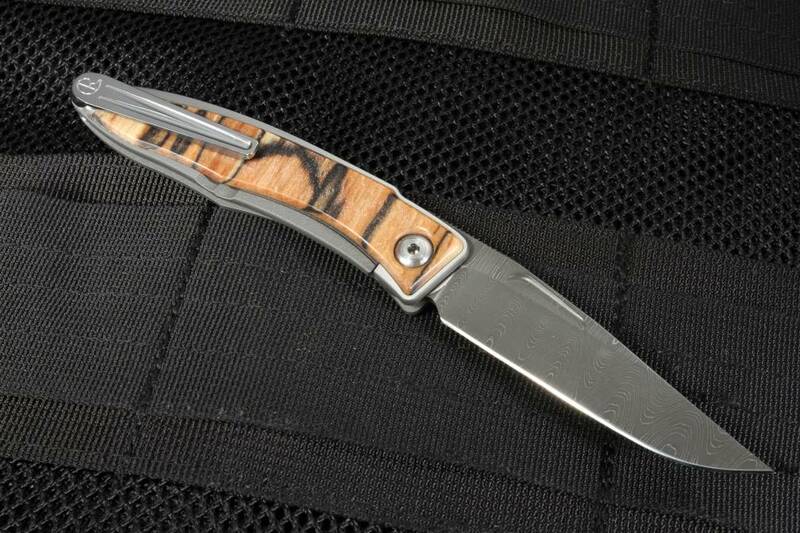 Handle is construsted of aerospace grade titanium with beautiful spalted beech inlays. Solid frame lock design. 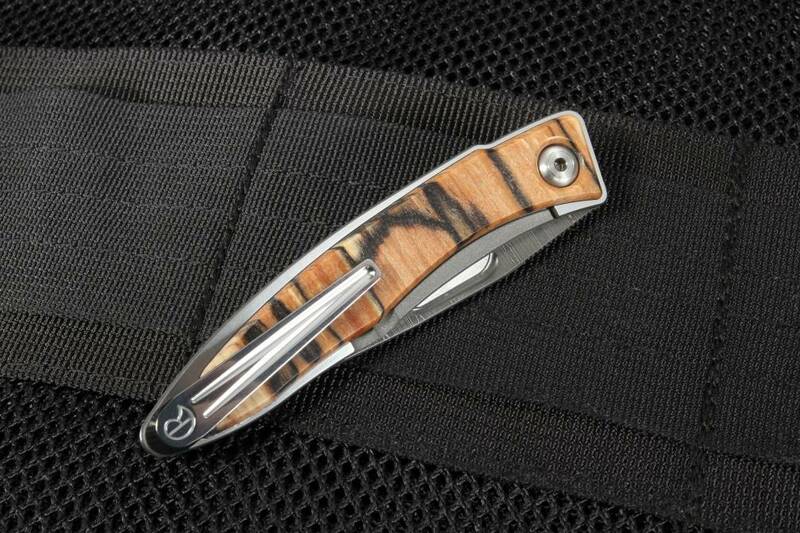 Titanium pocket clip is mounted blade tip up. 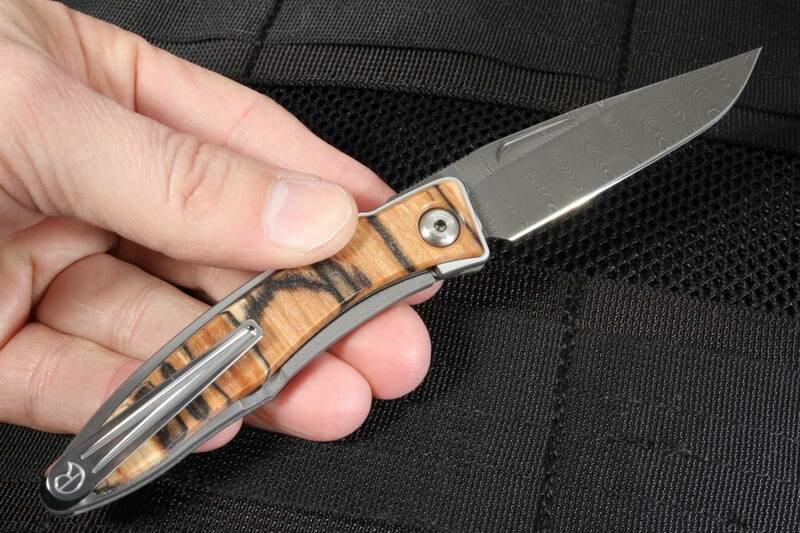 Light and trim, elegant gents pocket knife. The Chris Reeve Mnandi is made in Boise, Idaho. KnifeArt.com is proud to represent and collaborate with Chris Reeve knives.